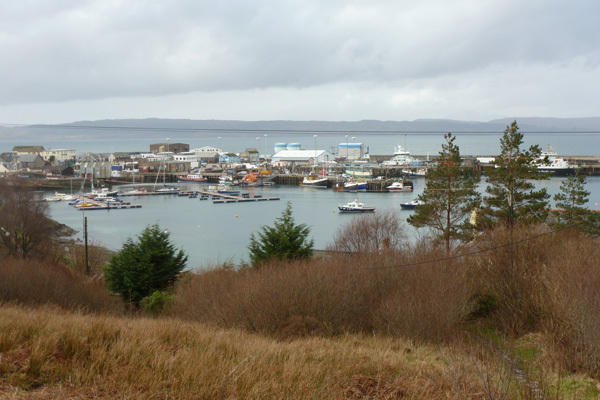 A short circular walk around the hills and village of the small picturesque fishing port of Mallaig with great views to the Skye and The Small Isles. A very pleasant walk, ideal if you wish to explore more of the area or whilst awaiting your ferry trip. The fishing and ferry port of Mallaig (which means Shingle Bay in Gaelic) supports an interesting collection of small shops, cafes and restaurants, heritage centre, and a tourist information centre. There is also a swimming pool in the village. 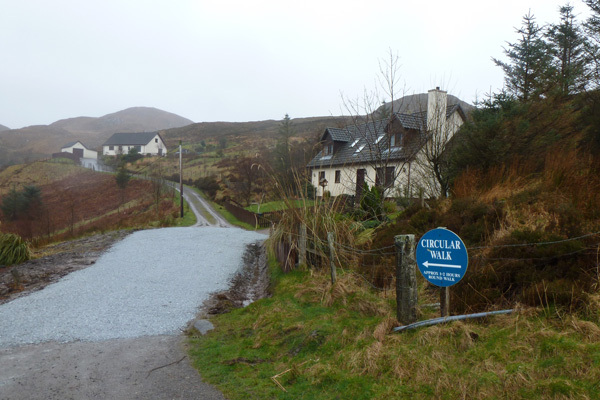 The village dates from 1840s and was formerly an important herring port. Today, it specialises In landing shellfish, as well as provides moorings for local and visiting pleasure boats. It also serves as a ferry port to Skye and the Small Isles. 1. Park at the East bay car park by the harbour. Head away from the village centre, turning right onto a paved path signposted the Circular Path on the right hand side, just before a Bed and Breakfast establishment. 2. Head up the hill by the back of the houses and onto the heath and rough pasture. Look back on occasion for fine views of the old and new harbour. The path passes through a valley; look out for raptors on the hills. 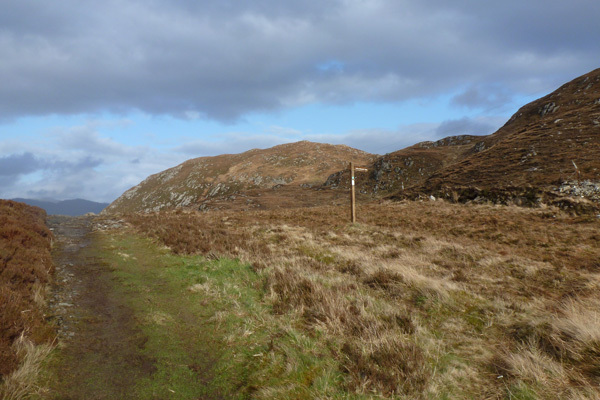 Near the top of the hill there is a signpost to Loch an Nostarie where you could take an optional detour to admire fine views of the Loch if you have time. 3. Continue along the track past the signpost to the top of the hill where there is a welcome bench awaiting you; ideally placed to enjoy the views. 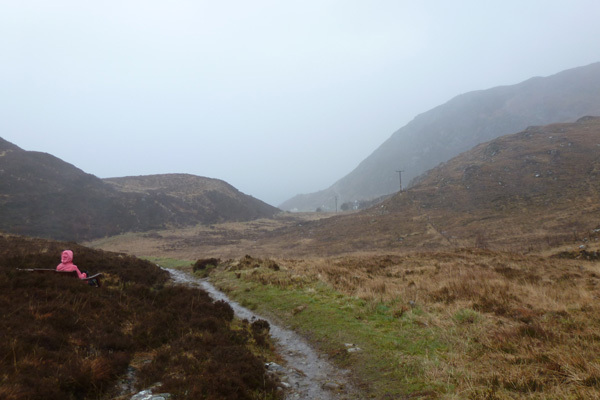 The path then heads towards the coast, eventually joining a track and passing several houses on route to Mallaig Beag. On a clear day, good views are afforded of the Sleat peninsula of Skye, the Small Isles and the Knoydart peninsula. 4. 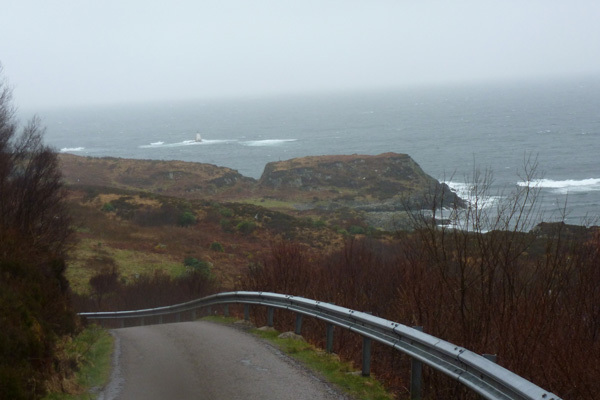 The track continues to the road where you turn left and return down into Mallaig. 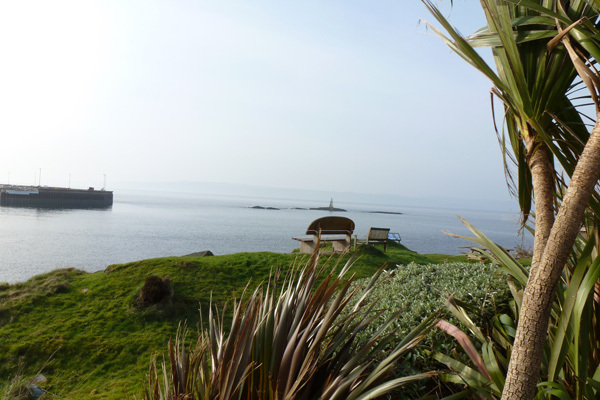 Enjoy the great views of the coast, cliffs and small copses of birch, willow and hazel. Look out for coastal birds and marine life, including grey seal, harbour porpoise and minke whale. 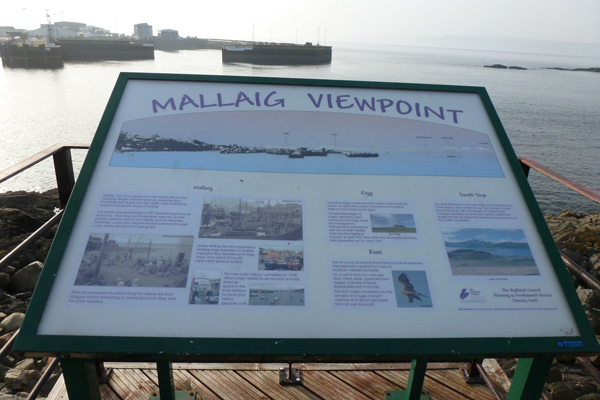 There are plenty of picnic benches and seats on route, as well as interpretation boards of the coastal views and the fishing port of Malliag.